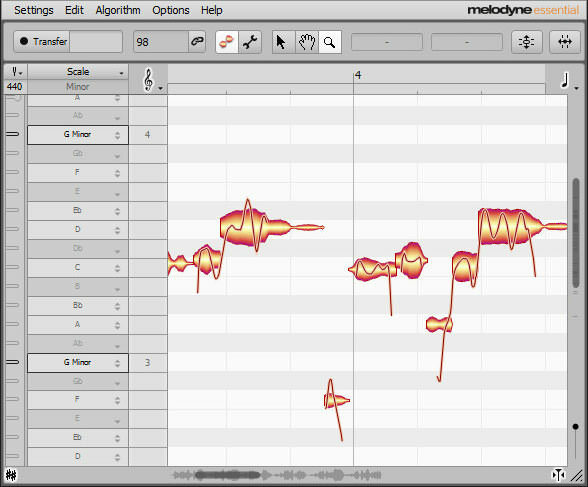 Celemony’s groundbreaking Melodyne tuning software sets the standard as the most natural-sounding and easiest to use vocal tuning software available. 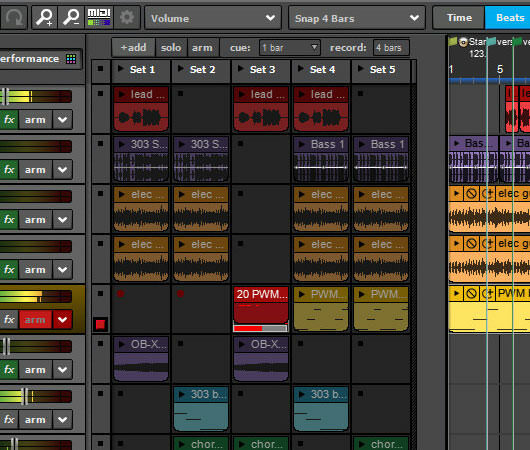 Mixcraft 8 Pro Studio takes it one step further by integrating Melodyne Essential directly into Mixcraft’s clip sound edit window (and eliminating time-consuming audio “transfers”). 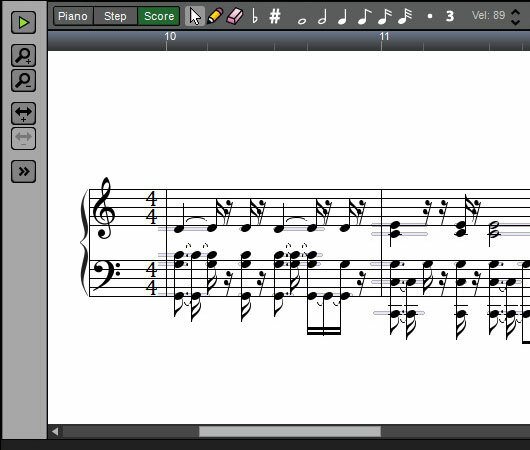 Whether you’re simply touching up intonation, or moving notes to wildly alter performances, vocal pitch editing has never been easier! 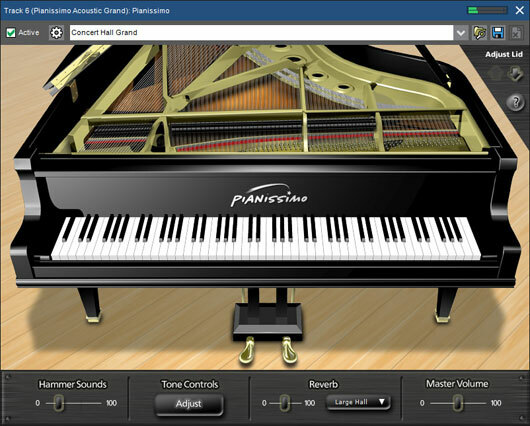 Mixcraft 8 Pro Studio adds painstakingly modeled virtual analog and digital professional synthesizers. Memorymoon is a spot-on recreation of the Moog Memorymoog’s crushing analog fatness. ME80 Version 2 is a killer model of the classic Yamaha CS-80 synthesizer, now with a gorgeous new user interface and a whole new sound engine. Kastelheimer Veldberg XD is new virtual analog synthesizer based on algorithms from hardware VA synthesizers with immense programming possibilities - a veritable goldmine of powerful analog and digital timbres! Who doesn’t love the warm, smooth sound of tubes? Mixcraft 8 Pro Studio delivers a knockout punch of tube-modeled effects with the Pentode Audio Series featuring the VTC-1 Vacuum Tube Compressor, TRW-1 Vacuum Tube Triode Warmer, PSEQ-1 Vacuum Tube Passive EQ, and VBE-1 Vacuum Tube Bass Enhancer. Treblecream smoothes harsh high frequencies to perfection, while FAT+ combines analog warmth, vacuum-tube distortion, and tape saturation into a single effect for enormous-sounding tracks. 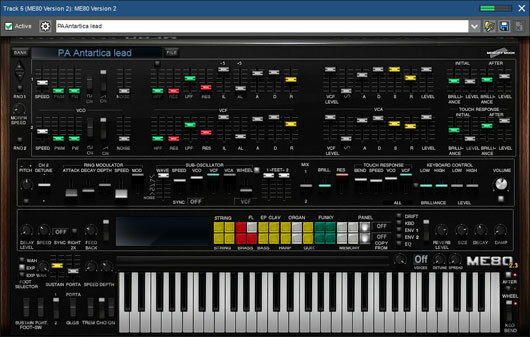 Recreate the grunge of 8-bit video games and 12-bit samplers with TimeMachine Bit Crusher. 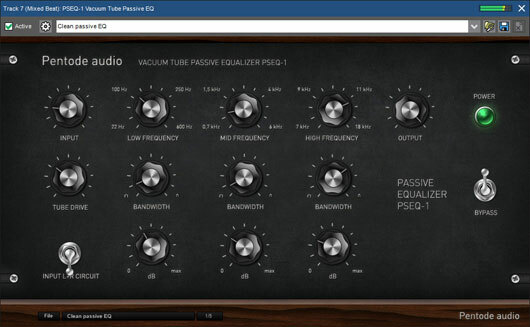 Build lush, three-dimensional sonic spaces with Fusion Field’s convolution reverb technology. 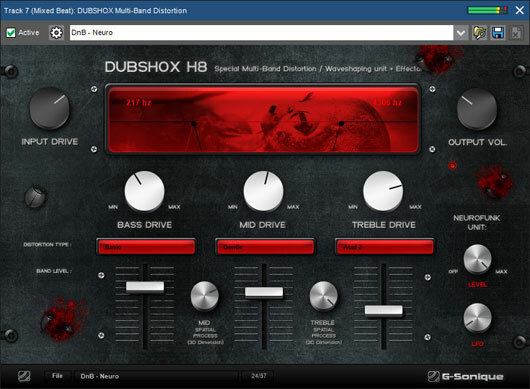 Inspire sonic anarchy with Dubshox Multi-Band Distortion, featuring over 40 types of distortion and shapers. Recreate the warm, smooth, trippy textures of early tape-based delay systems with the VTD-42 Psychedelic Delay. 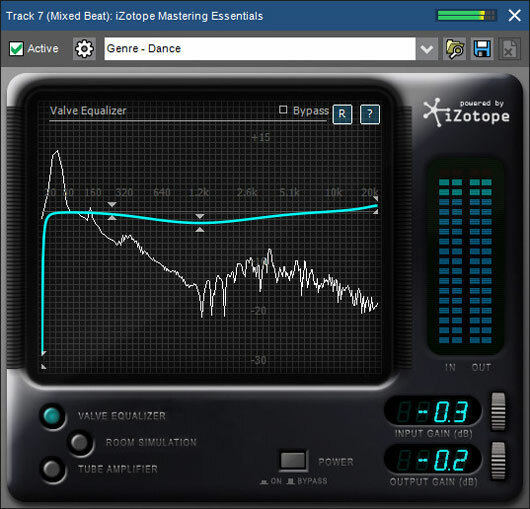 Boost your bass to the max with XBass Bass Enhancer. Enhance stereo imaging with Mid-Side Harmonic Vitaliser+. Add grunge and warmth to vocals with Twisthead VS-206 Preamp. The list goes on and on! 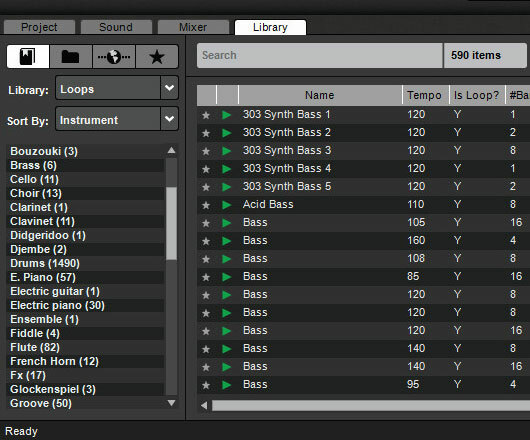 Click here to see all the extra plug-ins included with Mixcraft 8 Pro Studio. Your music will never sound the same. 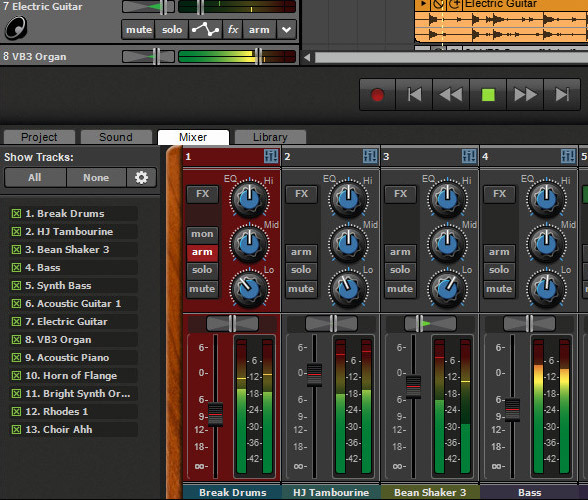 Mixcraft is more than just a blockbuster DAW - it’s also a feature-packed pro video editing and scoring environment. Load and edit video files and still images with ease. Crossfade video clips, create transitions, and add a professional touch with fantastic video effects. Rapidly create slideshows from photo collections. Add titles and scrolling text. 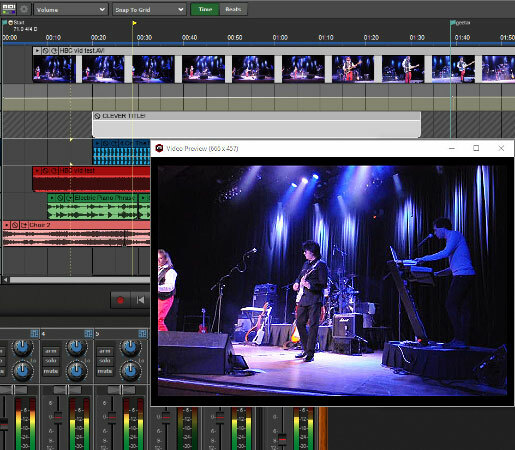 Publishing enables rendering, uploading, and promotion of music and video projects directly to social media sites such as YouTube, Vimeo, Facebook, Soundcloud, and more! Mixcraft 8 now supports MP4 audio and video in addition to WMV and AVI formats.